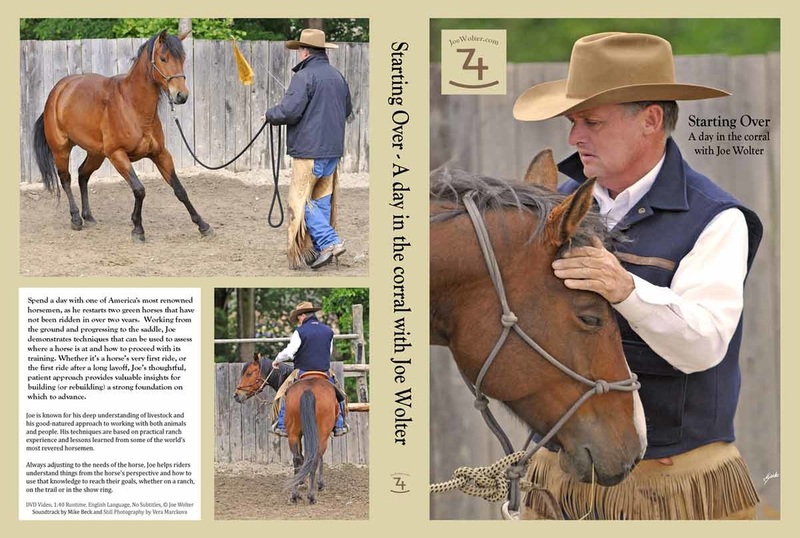 "Get Ready To Rope with Joe Wolter"
This newest release from Joe Wolter, revered horseman and one of the best traditional ranch ropers out there, provides a variety of exercises to help keep riders safe and their horses comfortable in real world roping situations. Whether you’re headed to the branding pen or simply want a more confident horse, Get Ready to Rope is a must have video - filled valuable lessons and insights for riders of all levels and interests. 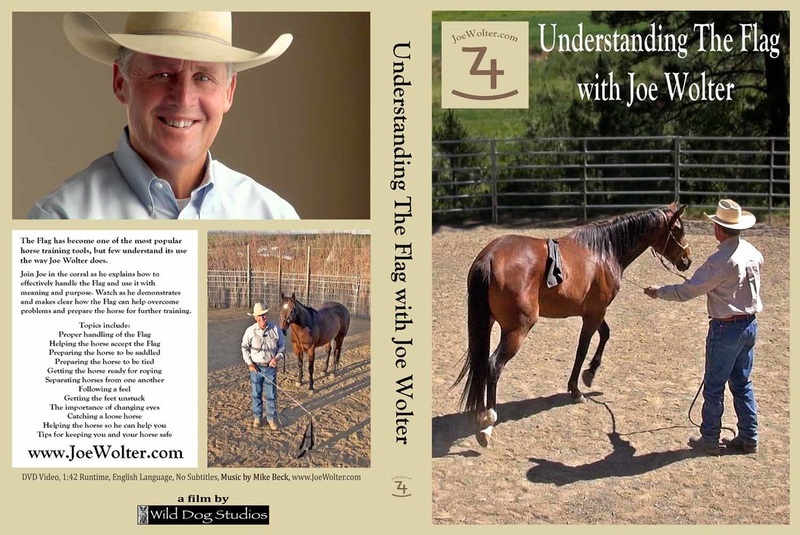 "Understanding The Flag with Joe Wolter"
The Flag has become one of the most popular horse training tools, but few understand its use the way Joe Wolter does. Join Joe in the corral as he explains how to effectively handle the Flag and use it with meaning and purpose. Watch as he demonstrates and makes clear how the Flag can help overcome problems and prepare the horse for further training. Then sit down with Joe between corral sessions for further explanations and insights. From beginning to end, riders of all levels and disciplines will find a wealth of information in this essential video. "Starting Over - A day in the corral with Joe Wolter"
Spend a day with one of America's most renowned horsemen, as he restarts two green horses that have not been ridden in over two years. Working from the ground and progressing to the saddle, Joe demonstrates techniques that can be used to assess where a horse is at and how to proceed with its training. Ranch roping from the ground up is exactly what you get with this video. Joe Wolter, with help from the late, great Bill Dorrance, guides the viewer through building a loop, developing a good swing, head shots, heel shots, angles, positioning, working in a herd, dallying and introducing the horse to roping. 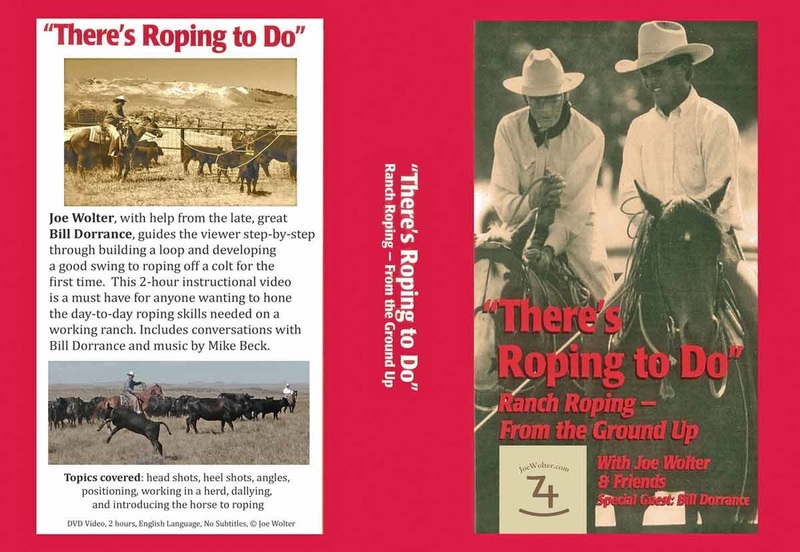 This 2-hour instructional video is a must have for anyone interested in developing the day-to-day roping skills needed on a working ranch. Newly re-mastered production of this classic. 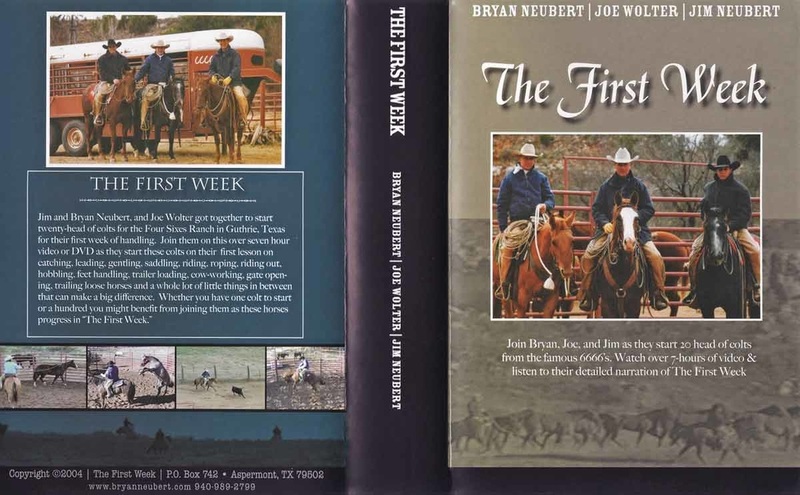 Join Joe Wolter, Jim Neubert and Bryan Neubert for a week of colt starting at the Four Sixes Ranch in Guthrie, Texas. Watch as they catch, halter, lead, saddle, ride and rope off these young horses for the first time. See how the three men use a variety of techniques to prepare 20 colts to become working ranch horses, and watch as they take their first outside rides, experience hobbling, feet handling, gate opening, trailer loading, working cattle, trailing behind loose horses and advancing each horse over the course of a week. It’s 7 hours of non-stop information and insights from three great horsemen and a valuable learning experience for anyone interested in horses.